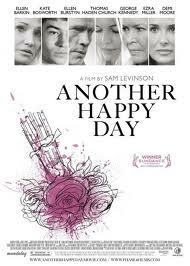 At least Another Happy Day is aptly named. The debut film from the son of Oscar-winner Barry Levinson is a handsome mess: it’s beautifully-shot and there are moments, that, when viewed as individual scenes, would conspire to give the impression the film is more interesting than it really is. Barkin (also a producer) is a frazzled mother trying to hold it together in the run-up to her oldest son’s wedding. All the action unfolds at her mother’s Annapolis mansion. Grandma (Burstyn) is all old school stoicism and Grandpa (Kennedy) is slowly dying. For reason that seem apropos of nothing, Barkin has two older kids from her first husband (Church) and two from her current spouse (DeMunn), a fact that’s painfully pounded into the audience’s heads as if there is going to be a test afterward. That leads to the most important question, as to why there needed to be so many characters, but we’ll get back that in a moment. I guess it’s either supposed to be funny or ironical that everyone in her family either doesn’t communicate (resulting in various forms of physical self-abuse) or over-communicates (resulting in the kinds of awkward confrontations that only explode in movies about dysfunctional families on the eve of a wedding day). It’s hard to care about any of these people, and that’s where Levinson’s inexperience as a storyteller lets the film down. Sure, there have been countless movies and plays that have juggled a dozen characters and their neuroses, but as this film proves, it takes a deft hand to pull it off. Or basic storytelling. 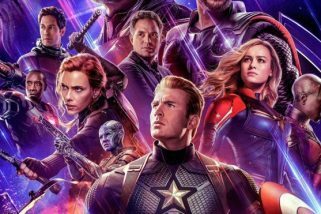 Maybe it’s the result of poor editing, but it seems that every time we visit a character, they are in the throes of their own meltdown in their own scene, seemingly in their own movie. It’s exhausting, and weakens the plight of all concerned. At one point, Barkin and Burstyn share a midnight scene that finds both women reaching out for some sort of emotional rescue, but plays like dueling monologues. Demi Moore plays Church’s current wife with the harpy enthusiasm of a sitcom guest star in search of a laugh track. People show up, crack wise, treat each other cruelly and then slog off into their own little chapter to cry, fight or ponder their navels. We spend half the movie hearing about poor messed-up older sister Alice (Bosworth) and her self-inflicted cutting outbursts so when she shows up, all the actress has to do is seem like she’s holding off a full-blown histrionic meltdown, which she does well. We never learn a single additional detail about her. The biggest sin Levinson commits is never settling on a particular tone. From edgy verbal comedy in one scene, to a gentle observation the next, to an ominous score blaring while a character slips into a druggy haze, I could never get my bearings as to what the hell kind of film I was watching. And in the end, nothing gets resolved. I’m all for nepotism in the arts. After all, that’s how tradition gets passed down and creative dynasties are built. But something tells me Sam Levinson should have spent a little more time watching his father’s Diner (1982) or Rain Man (1988) as opposed to Sphere (1998) or Jimmy Hollywood (1994).